When you have a sports injury, you want to be treated by a professional who knows the importance of getting back in the game. Sports injuries can occur to anyone, whether you workout at home or are a professional athlete. As a former college baseball player, Dr. Ponomarenko is well-versed in sports medicine. Dr. Ponomarenko and his staff at Flower Mound Chiropractic in Flower Mound, Texas, are equipped with the latest tools and techniques to get you back to peak performance. "These guys are awsome. Our whole family goes! Great for my teens sports recovery!" "Great beside manner and amazing staff! 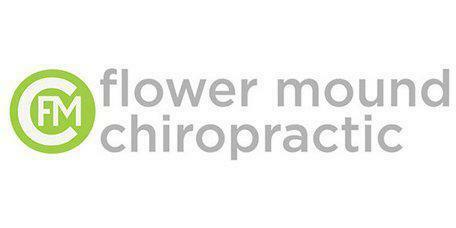 Wonderful customer care..."
"Staff and environment are both awesome ..."
"I highly recommend the dedicated members of Flower Mound Chiropractic." Which type of sports medicine therapy does Flower Mound Chiropractic offer? How does myofascial therapy help with sports injuries or muscle overuse? Myofascial release is a manual type of therapy used to relieve stiff areas surrounding muscle tissue. These areas should normally feel elastic. When muscles are overused or injured during exercise, though, this sports medicine technique can be beneficial. During your visit, Dr. Ponomarenko will manually stretch the area and use pressure to loosen up any tightness in the membranes that surround your muscles. In some cases, the stiff areas he needs to work on aren’t near the area where you feel the pain. Dr. Ponomarenko has used myofascial therapy to help countless athletes recover from sports and exercise pain. Is vibration therapy beneficial for pain related to exercise and injuries? Yes. Depending on the extent of your injury or pain level, Dr. Ponomarenko might recommend undergoing vibration therapy. Your skeleton thrives on being used -- the phrase “use it or lose it,” directly describes the bones that make up your skeleton. As the name implies, this technique uses either high-intensity or low-intensity vibrations to improve bone strength. The vibrations have shown that they increase bone formation while decreasing bone resorption, which causes your bones to lose essential minerals. Not only will vibration therapy help you build and retain muscle strength, it can also speed up the healing process. If you’re suffering from a sports injury, call or schedule an appointment online with Dr. Ponomarenko at Flower Mound Chiropractic. The practice is currently welcoming new patients and accepts most major forms of insurance.